PROTEOSAVE™ series products have a unique high hydrophilic polymer surface treatment. 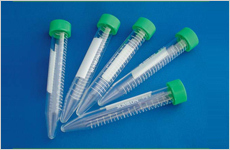 The tube and well surface are coated with a high density hydroxyl group which blocks the non-specific binding of proteins, peptide and cells to the surface dramatically. 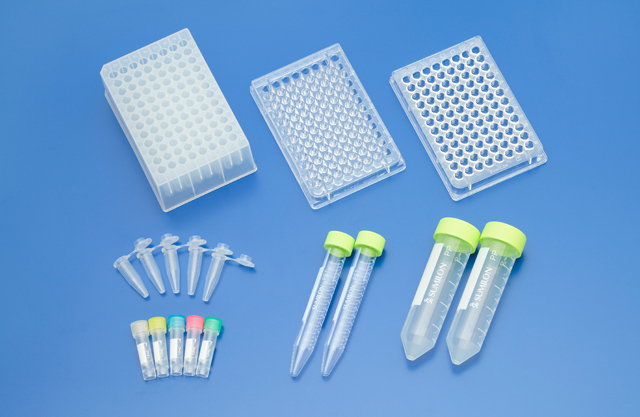 This effectively prevents your sample loss originated from the non-specific binding to the tube/ plate. ARISAKA, Yoshinori, et al. A heparin-modified thermoresponsive surface with heparin-binding epidermal growth factor-like growth factor for maintaining hepatic functions in vitro and harvesting hepatocyte sheets. Regenerative Therapy, 2016, 3: 97-106. PANDEY, Kiran; NAHAR, Ashrafun; KADOKAWA, Hiroya. Method for isolating pure bovine gonadotrophs from anterior pituitary using magnetic nanoparticles and anti-gonadotropin-releasing hormone receptor antibody. Journal of Veterinary Medical Science, 2016, 78.11: 1699-1702. HAMAMURA, Kensuke, et al. ANNALS EXPRESS: Simple quantitation for potential serum disease biomarker peptides, primarily identified by a peptidomics approach in the serum with hypertensive disorders of pregnancy. Annals of Clinical Biochemistry: An international journal of biochemistry and laboratory medicine, 2015, 0004563215583697. IZAKI, Shunsuke, et al. Feasibility of Antibody–Poly (Glutamic Acid) Complexes: Preparation of High‐Concentration Antibody Formulations and Their Pharmaceutical Properties. Journal of pharmaceutical sciences, 2015, 104.6: 1929-1937. OGISO, Hideo; TANIGUCHI, Makoto; OKAZAKI, Toshiro. Analysis of lipid-composition changes in plasma membrane microdomains. Journal of lipid research, 2015, 56.8: 1594-1605. ICHIKAWA, Shunsuke, et al. Cellulosomal carbohydrate-binding module from Clostridium josui binds to crystalline and non-crystalline cellulose, and soluble polysaccharides. FEBS letters, 2014. KADOKAWA, Hiroya, et al. Gonadotropin-releasing hormone (GnRH) receptors of cattle aggregate on the surface of gonadotrophs and are increased by elevated GnRH concentrations. Animal reproduction science, 2014, 150.3: 84-95. UCHIDA, Yasuo, et al. A study protocol for quantitative targeted absolute proteomics (QTAP) by LC-MS/MS: application for inter-strain differences in protein expression levels of transporters, receptors, claudin-5, and marker proteins at the blood–brain barrier in ddY, FVB, and C57BL/6J mice. Fluids and Barriers of the CNS, 2013, 10.1: 21. NAGAI, Yutaka; TAKAO, Masashi. Monoclonal antibody to human epithelial cell adhesion molecule and method for detecting circulating tumor cells using the same. U.S. Patent Application 14/085,205, 2013. TAKAO, Masashi; NAGAI, Yutaka; TORII, Tokiji. Cysteine-Poor Region-Specific EpCAM Monoclonal Antibody Recognizing Native Tumor Cells with High Sensitivity. Monoclonal antibodies in immunodiagnosis and immunotherapy, 2013, 32.2: 73-80. YASUNO, K., et al. Development of Podocyte Injuries in Osborne–Mendel Rats is Accompanied by Reduced Expression of Podocyte Proteins. Journal of comparative pathology, 2013, 149.2: 280-290. TSUCHIYA, Hikaru; TANAKA, Keiji; SAEKI, Yasushi. The parallel reaction monitoring method contributes to a highly sensitive polyubiquitin chain quantification. Biochemical and biophysical research communications, 2013, 436.2: 223-229. KUROKAWA, Kenji, et al. Novel bacterial lipoprotein structures conserved in low-GC content Gram-positive bacteria are recognized by Toll-like receptor 2. Journal of Biological Chemistry, 2012, 287.16: 13170-13181. UMEMURA, Hiroshi, et al. Identification of a high molecular weight kininogen fragment as a marker for early gastric cancer by serum proteome analysis. Journal of gastroenterology, 2011, 46.5: 577-585. KAWAKAMI, Hirotaka, et al. Dynamics of absolute amount of nephrin in a single podocyte in puromycin aminonucleoside nephrosis rats calculated by quantitative glomerular proteomics approach with selected reaction monitoring mode. Nephrology Dialysis Transplantation, 2011, gfr492. TAKAO, Masashi; TAKEDA, Kazuo. Enumeration, characterization, and collection of intact circulating tumor cells by cross contamination‐free flow cytometry. Cytometry Part A, 2011, 79.2: 107-117. FUKUMOTO, Hiroaki, et al. High-molecular-weight β-amyloid oligomers are elevated in cerebrospinal fluid of Alzheimer patients. The FASEB Journal, 2010, 24.8: 2716-2726. ICHIKAWA, S.; KARITA, S. Characterization of Family 3 Carbohydrate-binding Module from Clostridium josui. In: Proceedings of the Second International Workshop on Regional Innovation Studies:(IWRIS2010). Graduate School of Regional Innovation Studies, Mie University, 2010. p. 5-8. YOSHIMOTO, Shogo, et al. An Acinetobacter trimeric autotransporter adhesin reaped from cells exhibits its nonspecific stickiness via a highly stable 3D structure. Scientific Reports, 2016, 6. HATTORI, Kotaro, et al. Increased cerebrospinal fluid fibrinogen in major depressive disorder. Scientific reports, 2015, 5: 11412. WATANABE, H., et al. Controlled release of a protein using a ceramic carrier and zinc ions as a novel approach to the treatment of osteoporosis. In: Key Engineering Materials. 2015. p. 332-337. IHARA, Yuta; OHTA, Hiroyuki; MASUDA, Shinji. A highly sensitive quantification method for the accumulation of alarmone ppGpp in Arabidopsis thaliana using UPLC-ESI-qMS/MS. Journal of plant research, 2015, 128.3: 511-518. KIM, Jong-Myong, et al. Highly Reproducible ChIP-on-Chip Analysis to Identify Genome-Wide Protein Binding and Chromatin Status in Arabidopsis thaliana. In: Arabidopsis Protocols. Humana Press, 2014. p. 405-426. FUKAZAWA, Tominaga; YAMAZAKI, Yuri; MIYAMOTO, Yohei. Reduction of non-specific adsorption of drugs to plastic containers used in bioassays or analyses. Journal of pharmacological and toxicological methods, 2010, 61.3: 329-333. ANDOU, Takashi, et al. RNA detection using peptide-inserted Renilla luciferase. Analytical and bioanalytical chemistry, 2009, 393.2: 661-668. KUBOTA, Hiroyuki, et al. Reduction in IgE reactivity of Pacific mackerel parvalbumin by heat treatment. Food chemistry, 2016, 206: 78-84. KASUGA, Kie. Comprehensive analysis of MHC ligands in clinical material by immunoaffinity-mass spectrometry. In: The Low Molecular Weight Proteome. Springer New York, 2013. p. 203-218. YAMASHITA, Kazuyuki; SHIROKI, Masahiro. Medical or biochemical resin composition and resin molded product. U.S. Patent Application 13/469,768, 2012. GOTOH, Akiko, et al. Evaluation of adsorption of urine cystatin C to the polymer materials on the microplate by an antigen capture enzyme-linked immunosorbent assay. Clinica Chimica Acta, 2008, 397.1: 13-17.